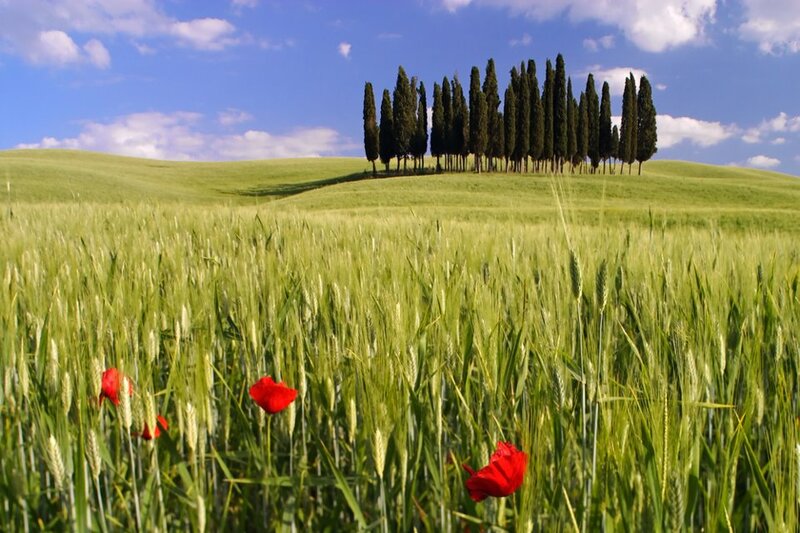 What I love most of Tuscany is the countryside, particularly in May. My doctor, who attentively supervises my hay fever, thinks I’m a masochist, but personally I believe we all are one way or the other. The luxuriousness of the countryside in this period is breathtaking and supported by the heavy rains preceding this season. 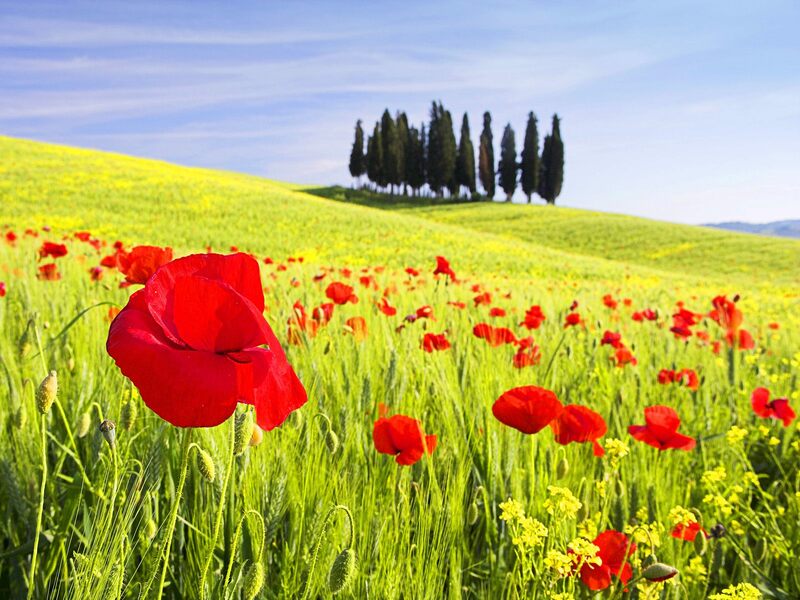 The fields are an emerald green dotted with the bright red embarrassed faces of poppies who have finally decided to spring from the ground, while the hillsides are sprinkled with the vivid yellow flowers of the broom plants. 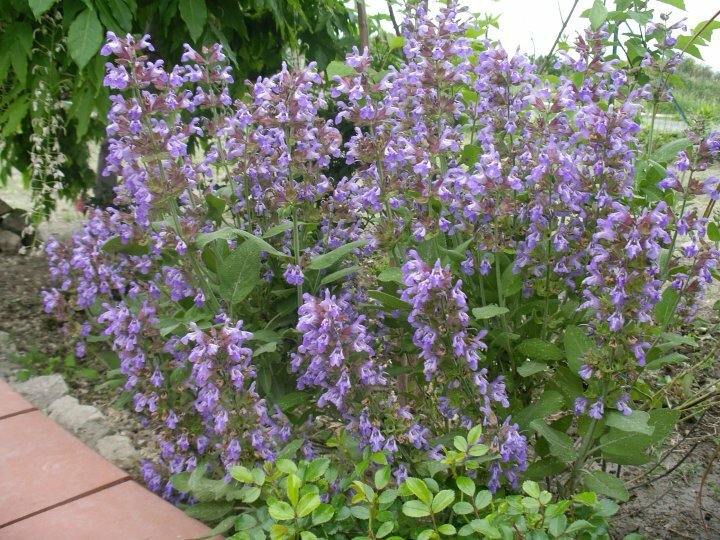 Wild flowers, in lovely shades of purple and yellow, complement the poppies, while outside the old farmhouses, against their old age stone walls, the roses start to bloom in a kaleidoscope of colours together with the lilac flowers of the sage. 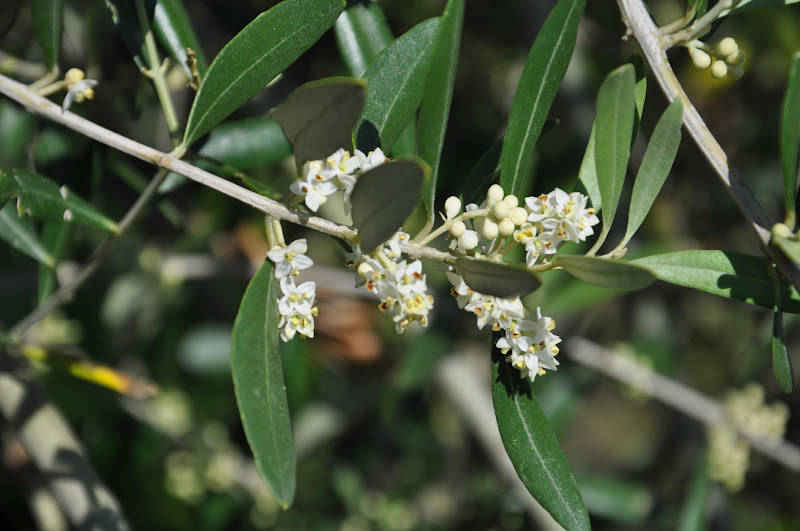 In the olive groves, white flowers with yellow button hearts start to sprout among the pruned jade leaves. Even the vineyards are wakening up from their winter lethargy and become greener. In the orchard the cherries start ripening from pink to red. While in the evenings the not indigenous jasmine fills the darkness with its penetrating fragrance. 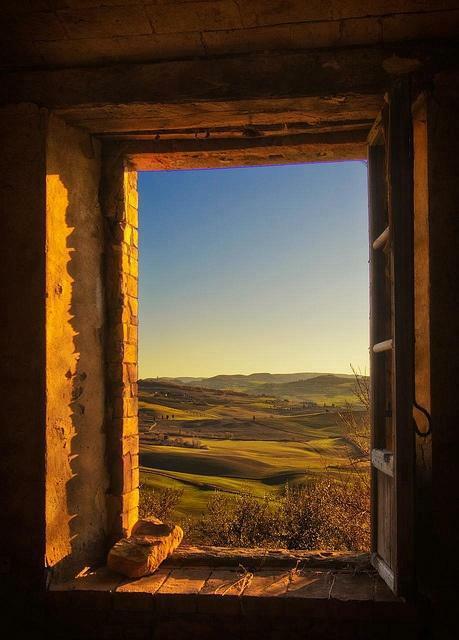 But abruptly, as in the best opera aria, everything dramatically changes and by the end of May the green of the wheat fields will start to drain and the Tuscan countryside will once more wear its bright yellow and brown shroud in anticipation of summer. 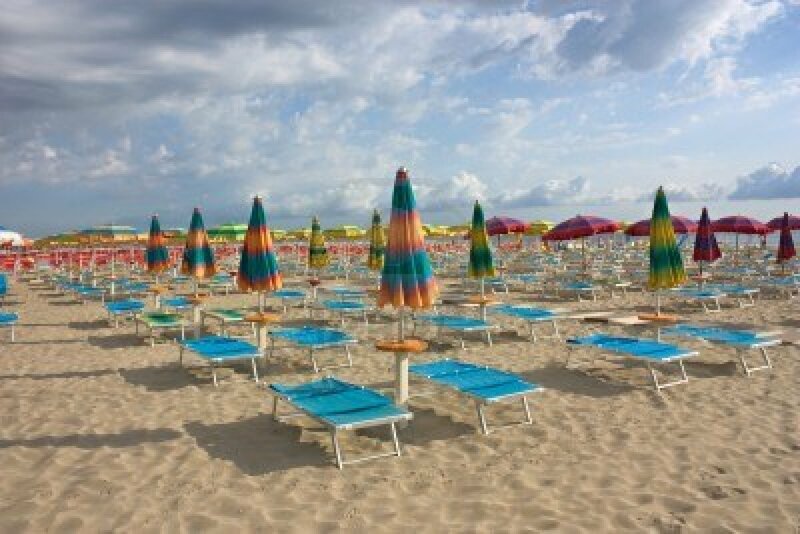 Meanwhile, along the seacoast, the bathing establishments are rousing; whilst the attendants comb the sand brightly coloured beach umbrellas start sprouting from the sand. Contemporarily, in towns and villages, bars and restaurants are finally placing their tables and chairs outdoors, whereas local committees start planning events. It’s the beginning of the ‘sagra’ season, village festivals where visitors can get the most of excellent local food and wine, as well as enjoy music while, with an observant eye, really soak up the true essence of Tuscany. Yesssss, Spring is finally in the air. Questa voce è stata pubblicata in Tuscan lifestyle. Contrassegna il permalink.